← Have You Tried: a Black Radish? I took a walk to Pike Place Market today. As you may know, Pike Place Market is a huge Seattle attraction, featuring fellas flinging fish, the first Starbucks, unique shops, and stalls filled with produce and food artisans. 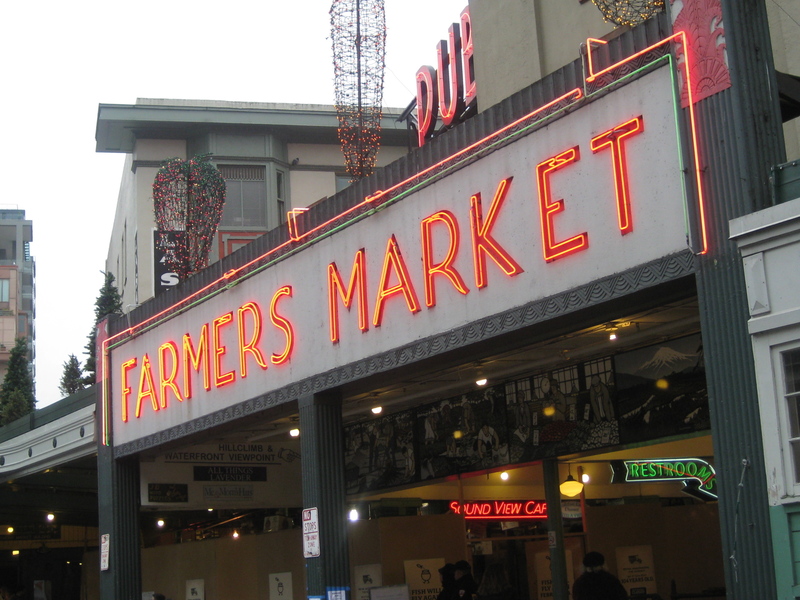 According to their website, Pike Place Market has been around for over 100 years and was originally established to connect farmers directly to consumers. The Market has 200 year-round businesses, 190 craftspeople, and around 100 farmers who rent table space by the day. 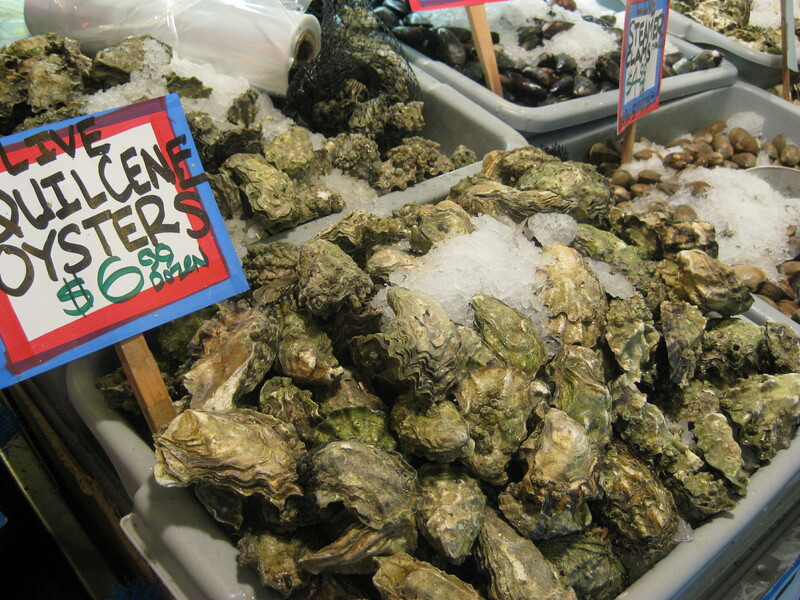 Is Pike Place Market what you think of when you think of a farmers market? 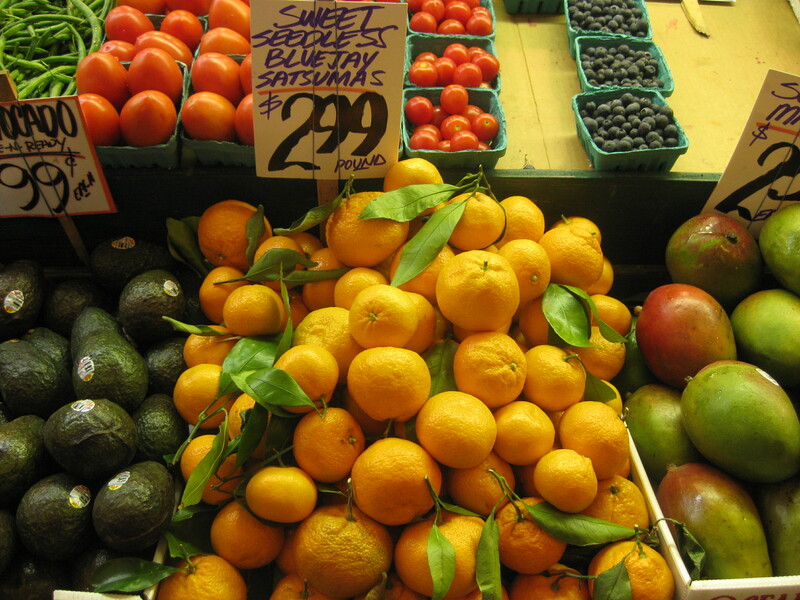 Certainly in the permanent shops, many of which sell produce, you can find all sorts of fruits and veggies that definitely are not farmed in Washington (though I sure wish we grew satsumas and avocados here!). But I also recognized some small farms and food artisans I’d seen at other Seattle farmers markets. These beautiful tulips are grown in greenhouses by Alm Hill Gardens, a small family farm from Everson, WA. 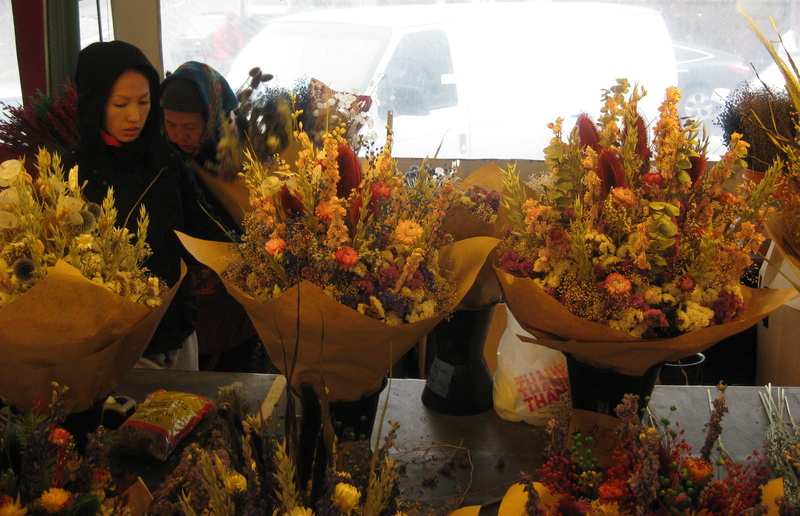 Pike Place Market is filled with tables of local Washington food, fish and flowers. In the summer and fall, even more local farmers fill the tables at Pike Place Market, which is open every day. 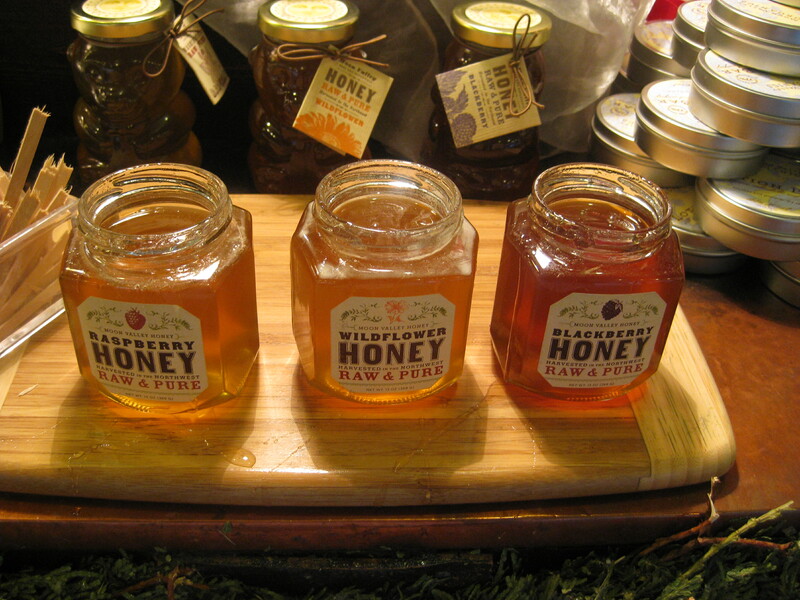 The market has a long tradition of supporting the connection between producer and consumer, and provides lots of information on this site about the farmers, artisans, and business owners who populate the market. Pike Place Market is an exciting place to visit – there are usually lots of tourists (though not too many on a cold Wednesday!) and the farmers and vendors are lively and eager to engage passers-by. Everyone I met was excited to help me and answer questions and even pose for photos! To me, Pike Place Market is its own thing: not a farmers market in the same sense as the neighborhood markets I frequent weekly, but a lively, amazing place where I can support local business people and still find farm fresh (or fresh caught!) food. 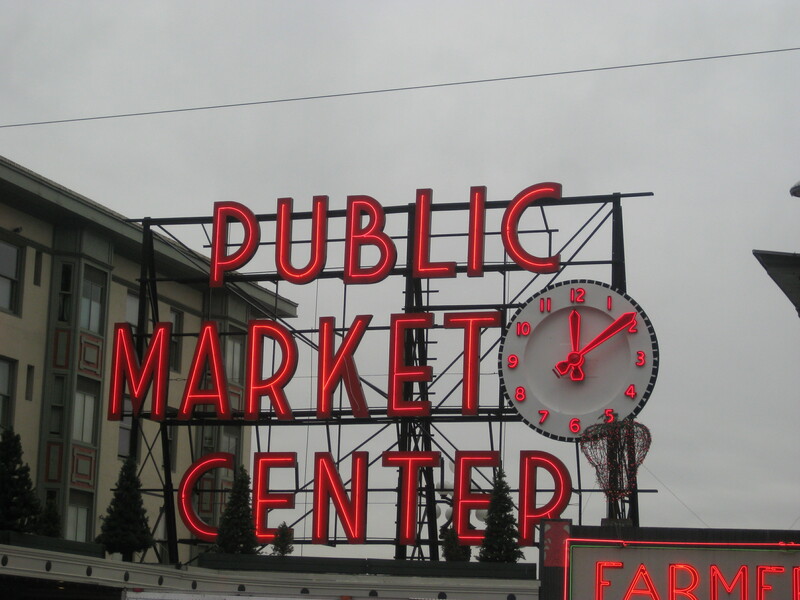 What do you think about markets like Pike Place Market? 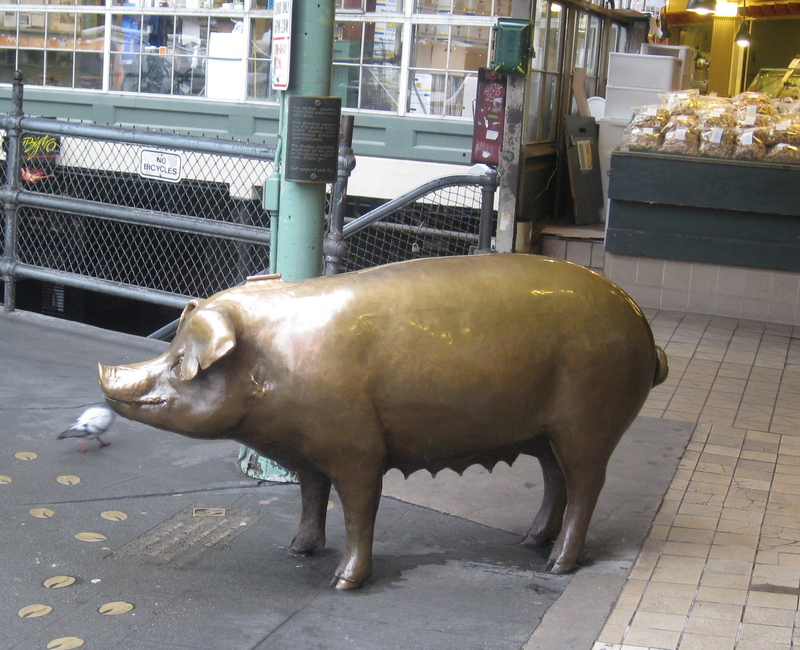 Have you ever visited Pike Place Market? Let’s hear your thoughts and experiences! This entry was posted in At the Market (farmers market), In the Pantry (food artisans) and tagged farm fresh, farmers markets, food artisans, Lisa Wheeler, local food, pike place market, seattle. Bookmark the permalink.